Dr. Lee, 3rd gen. acupuncturist, 25 years exp. fertility specialist. He is the one Obgyns and other MDs use to get pregnant naturally for themselves. OMD= Doctor of Oriental Medicine. Dr. Daniel N. Lee is a third generation acupuncturist. He is a licensed acupuncturist by the California Board of Medical Quality Assurance. Born and educated in China, Dr. Lee received his medical training at Tianjin First Hospital of Traditional Chinese Medicine. He also holds degrees in Doctor of Oriental Medicine and a Ph.D. degree in Oriental Medical Philosophy. He is a member of both state and national Association of Acupuncture and Oriental Medicine in the United States. Dr. Lee’s success in treating male and female infertility and variety of pains has earned him many referrals from his patients. Many of his patients are physicians in Irvine, Orange County and LA County in many specialties such as endocrinology, obgyns, internal medicine, ENT, ophthalmology, neurology, rheumatology, rehab-medicine, orthopedics, pediatrics, radiology, cardiology general surgery, endocrinology, gynecology and family medicine. Many obgyns came to see Dr. Lee to conceive naturally themselves. Dr. Lee also had been a professor of acupuncture at South Baylo University Orange County. He was one of the Acupuncture Licensing test examiners in California. Dr. Lee also served as an acupuncture medical reviewer for major insurance companies in both Orange County and LA County. He was even the interpreter of the international Conference of Acupuncture & Oriental Medicine in 1994 and 1995 in LA County. Dr. Lee has been successfully treating both male and female infertility with acupuncture alone as well as in conjunction with IUI and IVF in Irvine. He has treated over 6,000 infertility patients in the past 19 years and achieved a pregnancy rate of 63% to 76% (see table in the Home page). A large number of his patients have previous failed IUI and IVF cycles with history of miscarriage, endometriosis, poor eggs quality, high FSH and unexplained infertility. Dr. Lee also published an article on the topic of improving fertility on your own, which was published in the summer 2004 issue of Orange County Resolve. Dr. Lee started his private acupuncture practice in 1989 in Laguna Hills and in 2007 moved near the Irvine Spectrum area located centrally in Orange County. His infertility patients come not only from Irvine area, but also from LA County, Riverside County, Ventura County, San Diego County. Others make a day trip from San Francisco and Bay Area. Some come as far as Arizona, Oregon, Michigan, Texas, New Jersey and even from Spain and Germany. 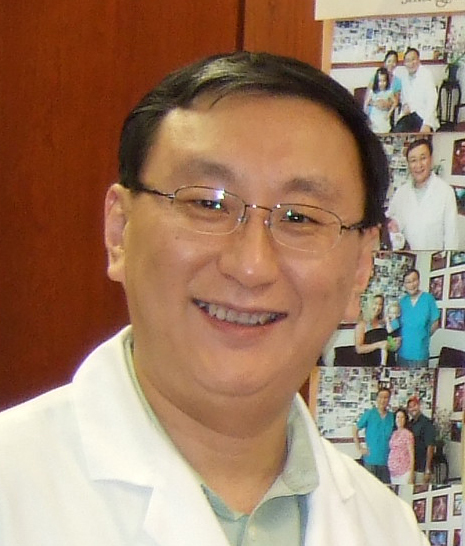 Dr. Lee enjoys photography, music, and arts and lives with his wife in South Orange County, California.